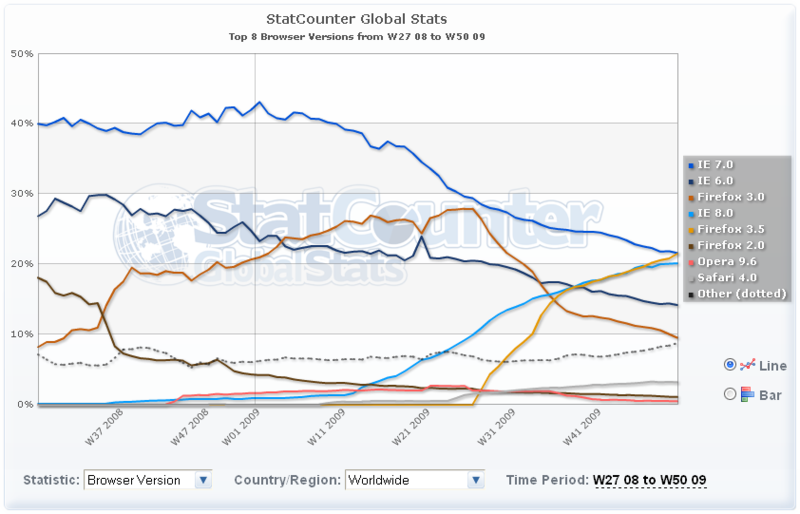 After Firefox 4 was released, Mozilla switched to a so called rapid release cycle for Firefox. This was done in order to get new features out faster. The idea in principle is great, but sadly this change was slightly rushed. For instance, the update mechanism wasn’t made completely invisible before starting with the rapid releases. This means that users are still getting dialog boxes thrown in their faces with every update, every six weeks. 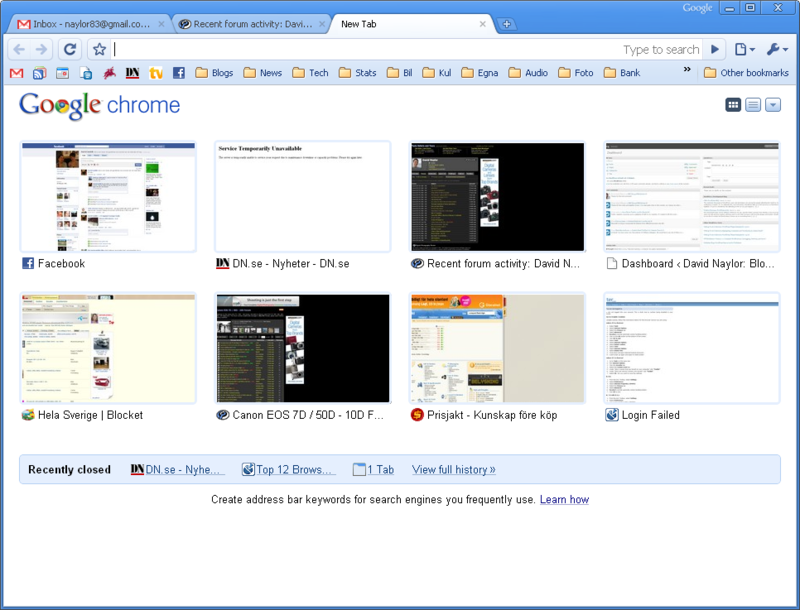 Compare this to Google Chrome which has updated completely silently from day 1, if I’m not mistaken. For some reason Mozilla also still feel the need to show a first run page after each update, informing you about the update. Extensions being automatically disabled with updates has been a long-standing problem with Firefox, and if anything it has gotten worse with the rapid release cycle. Ideally the user should never have a reason not to update to the latest and safest version, and this is a huge issue for many Firefox users. 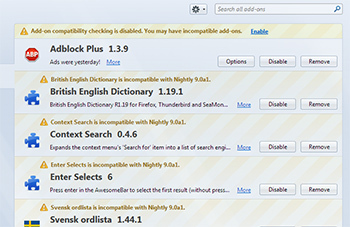 To stop your extensions from being disabled you need to switch off Firefox’s extension compatibility check. The good news is that this is fairly simple. The bad news is that you have to redo this procedure with every new version of Firefox (i.e. every six weeks) until Mozilla work out a better solution. Check which version of Firefox you have. Go to Help -> About Firefox and make a mental note of the version. 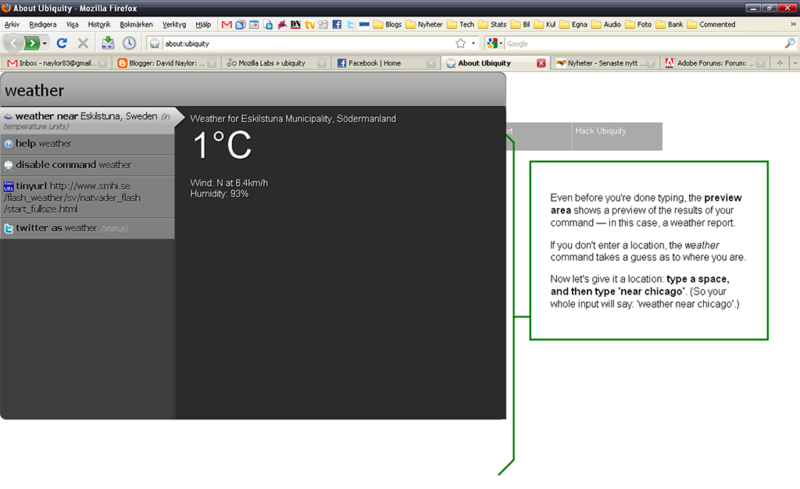 In the location bar, type in about:config. If you get the prompt, promise to be careful. Right click in the list of settings and choose New -> Boolean. 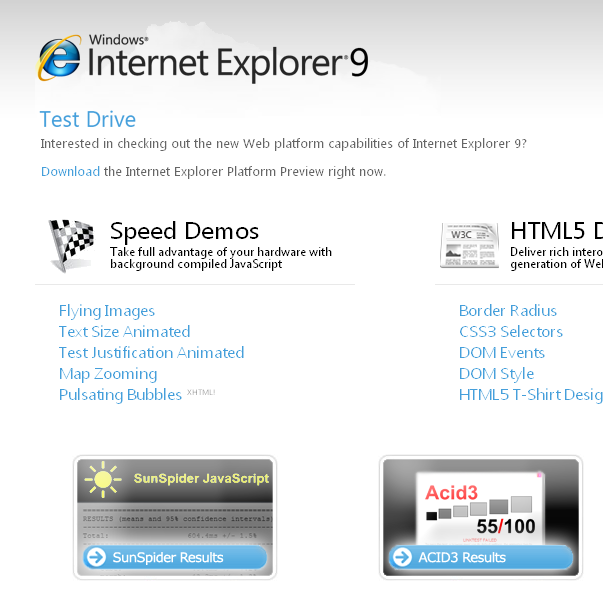 Name the new value extensions.checkCompatibility.X.X, where X.X is your Firefox version number. Choose False in the next dialog box. Restart Firefox for the change to take effect. Now you should be able to enable any extensions that had been disabled. The above works for the update channels Release, Beta and Aurora. If you are on the Nightly update channel, you need to put in nightly instead of the version number X.X. Now let’s hope that Mozilla get their act together and fix the current update mess and do something about the extension problem! 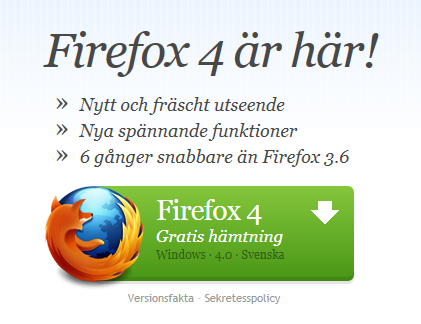 Apparently, Mozilla hasn’t offered Firefox 3.5 users an upgrade to 3.6 until now. Why did it take so long? 3.6 was released almost two months ago. Posted in browsers, Mozilla Firefox | Comments Off on Why the Delay, Mozilla? 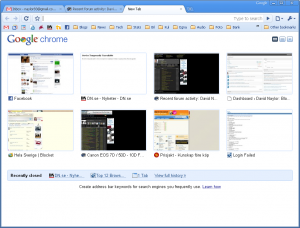 Firefox 3.6 beta 1 has just been released. Read all about it here. Get it here. When you fill out a form in a web page, the autocomplete suggestions are now ranked based on how recently and how frequently you use the different words (aka frecency). If you middle-click or Ctrl+click a link to open it in a new tab, the new tab will be created directly to the right of the current tab instead of at the far end. This makes it easier to switch to, and related tabs are kept together. Videos embedded in a page with the <video> tag can now be shown fullscreen. 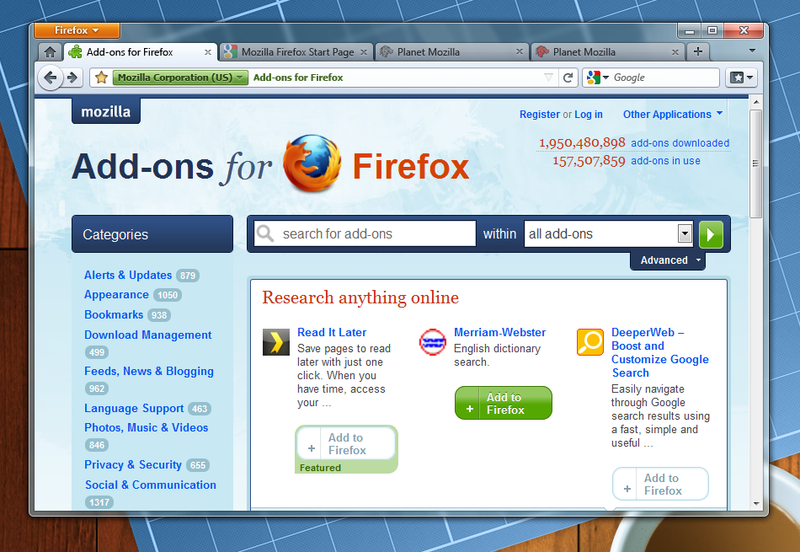 I just tried the Ubiquity add-on for Firefox for the first time. This thing is incredible! I just typed in weather and somehow it already knows where I am?! Almost scary! 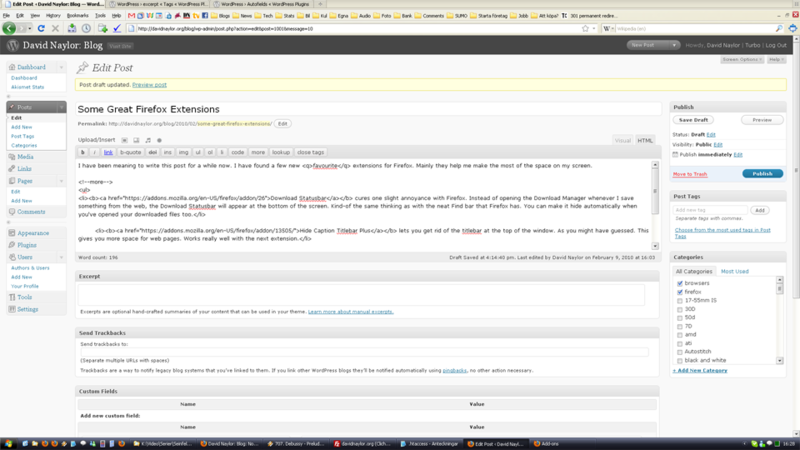 Posted in Mozilla Firefox | Comments Off on Ubiquity – Whoa!